In the first of four live shows, Ed Miliband faces an audience of over 100 voters aged 16 to 34 for an unscripted hour of tough and uncensored questions. In the first of four live shows, Ed Miliband faces an audience of over 100 voters aged 16 to 34 for an unscripted hour of tough and uncensored questions. From immigration to his difficulty eating bacon sandwiches, nothing will be out of bounds for our audience putting the potential prime minister to the test. 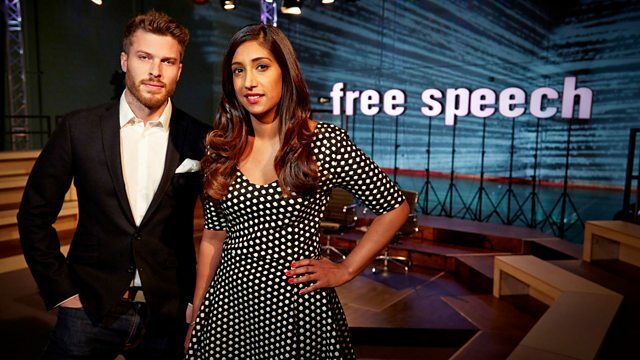 The show is presented by Rick Edwards, who chairs the audience contributions, and Tina Daheley who moderates the comments from the online audience.